The Court of Appeal has dismissed an attempt by the Badger Trust to quash Defra’s unwillingness to retain an Independent Expert Panel on future badger culls. The arguments mirrored those before the judge (summarised in my previous post here), and were dismissed for pretty much the same reasons. The background was the pilot cull in Somerset and Gloucester in 2013-14. It sought to remove at least 70% of the badger population in the area. The Panel reviewed its results, and concluded that in terms of effectiveness, shooting badgers removed less than 24.8% in Somerset and less than 37.1% in Gloucestershire. It decided that in terms of humaneness, something between 7.4% and 22.8% of badgers shot were still alive after 5 min. Not quite what had been promised for shooting. This blog has covered the various twists and turns, both scientific and legal, of Defra’s attempts to reduce bovine TB by culling badgers: see the list of posts below. Today’s decision in the Administrative Court is the most recent. You may remember a pilot cull in Somerset and Gloucester took place in 2013-14. Its target was to remove at least 70% of the badger population. By that standard, it failed massively. In March 2014, an Independent Expert Panel (IEP) concluded that in terms of effectiveness, shooting badgers removed less than 24.8% in Somerset and less than 37.1% in Gloucestershire. As for humaneness, something between 7.4% and 22.8% of badgers shot were still alive after 5 min – so the clean instant death much vaunted prior to the cull was by no means universal. The current case concerned the future of the IEP in proposed “pilot” culls. The Badger Trust challenged Defra’s decision to extend culling elsewhere without keeping the IEP in place, and without further conclusions from the IEP to be taken into account on effectiveness and humaneness. Updated: The extended badger cull has been called off after Natural England revoked licence over failure to meet greatly reduced targets (November 28). Experts say that the failed cull may have increased TB risk for cattle. 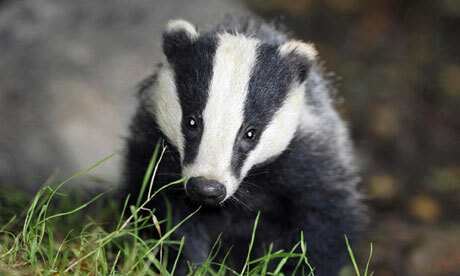 A new challenge was filed yesterday to the badger cull extension presently under way in the South West of England. An eight week extension to the Gloucestershire pilot cull was granted by Natural England after the initial trial period failed to reach its 70% target, and began on 23 October. Brian May’s Save Me organisation, represented by John Cooper QC, has put in an “exceptionally urgent” application for judicial review of the extension of the licence for the cull in Gloucestershire. The Secretary of State For Environment Food and Rural Affairs, DEFRA, and Natural England are named as defendants. Other interested parties are the National Farmers Union and the Badger Trust. According to the Save Me organisation, the call for an urgent review is based on the reasoning that with the Gloucestershire extension already operative, and unless this is urgently addressed the period of the extension might elapse before a formal review can be applied. Who’s really moving the goalposts? The proposed new extension to the six week badger cull has been defended on the basis that insufficient numbers of the animals in Gloucestershire have presented themselves to the marskmen’s bullets. The intervention by David Macdonald, chair of NE’s science advisory committee and one of the UK’s most eminent wildlife biologists, is a heavy blow for the environment secretary, Owen Paterson, and the National Farmers’ Union, who argue that killing badgers to curb tuberculosis in cattle is scientifically justified and necessary.